Faculty (from far left) Lloyd Bell, Kwame Dawes, Mario Scalora and Evgeny Tsymbal are among winners of the University of Nebraska's most prestigious awards for research, creative activity, teaching and engagement. Those earning the honors are Lloyd Bell, professor of agricultural leadership, education and communication; Kwame Dawes, professor of English; Mario Scalora, director of the University of Nebraska Public Policy Center and professor of psychology; and Evgeny Tsymbal, professor of physics. The President’s Excellence Awards, announced April 9, recognize faculty from across the University of Nebraska system whose work has had a strong impact on students, university and state. Overall, the five individual honors were awarded in three categories. Including the Universitywide Departmental Teaching Award — which was awarded to the Department of Biochemistry in March — the University of Nebraska–Lincoln collected five of the six systemwide honors announced this year. Bell received an Outstanding Teaching and Instructional Creativity Award. The OTICA recognizes individual faculty who have demonstrated meritorious and sustained records of excellence and creativity in teaching. Dawes and Tsymbal earned Outstanding Research and Creative Activity Awards. The ORCA recognizes faculty for outstanding research or creative activity of national or international significance. Scalora collected the Innovation, Development and Engagement Award. The IDEA recognizes faculty who have extended their academic expertise beyond the boundaries of the university in ways that have enriched the broader community. The awards will be presented at a luncheon later in the spring. Biographies for the five Huskers who earned individual President’s Excellence Awards this year are below. Lloyd Bell, professor in the Department of Agricultural Leadership, Education and Communication, has been awarded an Outstanding Teaching and Instructional Creativity Award from the University of Nebraska. A Nebraska native, Bell began his career as an instructor of vocational agriculture in West Point and Blair. He has been a faculty member in the College of Agricultural Sciences and Natural Resources since 1979. Bell has taught extensively in the undergraduate teacher preparation program of his department and has been instrumental in the delivery of professional development opportunities for Nebraska secondary educators of career and technical education. Bell’s scholarly activity and research interests are dedicated to researching theory and best practice; the promotion of the teaching and learning process within agriculture; and facilitating a nurturing atmosphere of interaction and thought. Bell has received numerous teaching awards within the college and has been widely recognized by the North Central Region of the American Association for Agricultural Education. In 2012 Bell was named a Senior Fellow in the association, recognizing his exceptional and sustained contributions to the agricultural education profession. 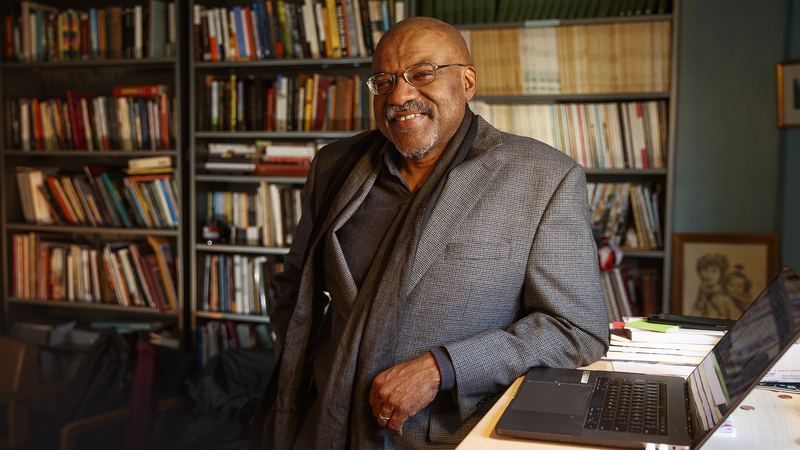 Kwame Dawes, Chancellor's Professor of English and Glenna Luschei editor of Prairie Schooner, has been awarded an Outstanding Research and Creative Activity award from the University of Nebraska. Dawes joined the university as the Chancellor’s Professor of English in 2011 and serves as the Glenna Luschei Editor of Prairie Schooner. Born in Ghana and raised in Jamaica, Dawes is the author of 20 books of poetry and numerous other works of fiction and nonfiction. His long list of accomplishments includes the prestigious Windham-Campbell Prize, 2004 Musgrave Medal, 2009 Emmy Award for a multimedia documentary project on HIV/AIDS in Jamaica, and a 2012 Guggenheim Fellowship. 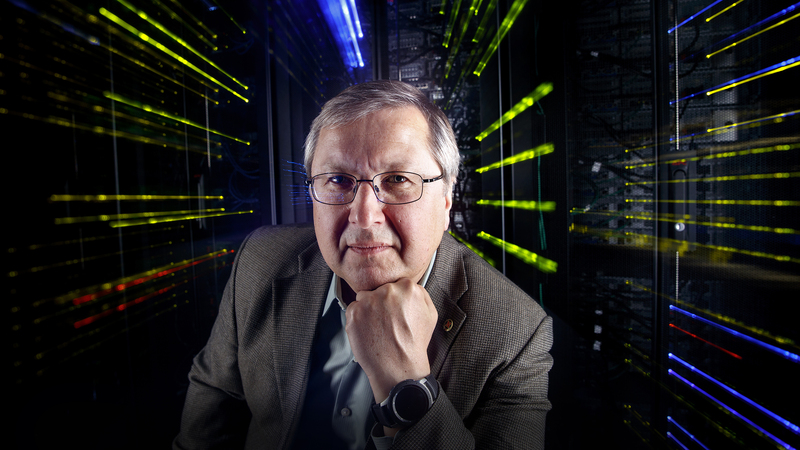 Evgeny Tsymbal, George Holmes University Distinguished Professor of Physics, has been awarded an Outstanding Research and Creative Activity award from the University of Nebraska. The research of Tsymbal is focused on revolutionizing electronic and data storage systems through the study of computational materials science. Key areas of his work include advancing our understanding of the fundamental properties of advanced ferromagnetic and ferroelectric nanostructures and materials that are relevant to nanoelectronics and spintronics. Since 2007, Tsymbal has been the director of the National Science Foundation-sponsored Nebraska Materials Research Science and Engineering Center “Polarization and Spin Phenomena in Nanoferroic Structures.” The project, also called P-SPINS, is part of a nationwide network of research centers sponsored by the National Science Foundation. The Nebraska center involves 26 faculty from six departments. Tsymbal has also been founding director of the Center for Nanoferroic Devices, charged with developing non-conventional electronic devices that can scale computer technologies. Since coming to the university in 2002, Tsymbal has secured more than $32 million as a principle investigator. He has also published more than 240 papers, review articles and book chapters; has served as the specialty chief editor for Frontiers in Condensed Matter Physics; and is a fellow of the American Physical Society and the Institute of Physics. Mario Scalora, director of the University of Nebraska Public Policy Center and professor of psychology, has been awarded the Innovation, Development and Engagement Award from the University of Nebraska. A nationally-recognized expert on threat assessment, Scalora focuses his research on stalking, extremist violence, school violence and workplace violence. His behavioral science approach to threat assessment involves teaming with human service, educational, law enforcement and public safety professionals to prevent violence. 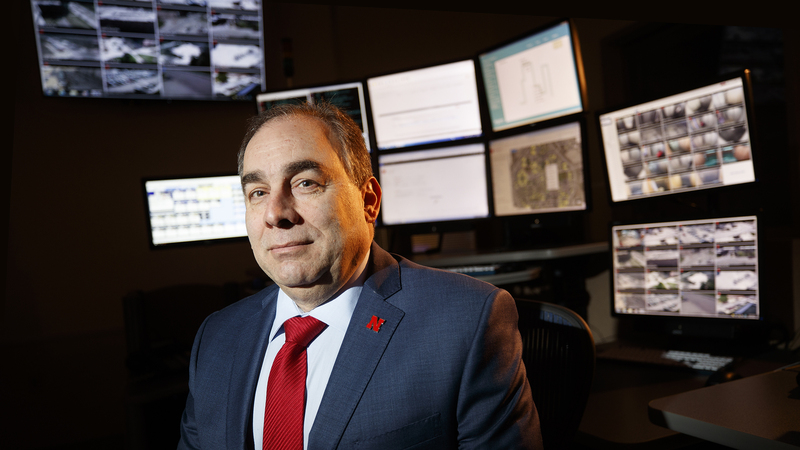 Over the course of his career, Scalora has focused on advancing the research and development of threat assessment methods and translating these into real-world training to increase public safety and awareness of threat risks. His research has evolved into an assessment strategy used by a wide array of educational, law enforcement, public safety, and industrial security professionals nationwide. Scalora regularly collaborates with federal, state and local agencies. He also is a consultant to law enforcement agencies and universities regarding threat assessment and safety issues. Since June 2016, Scalora has served as director of the University of Nebraska Public Policy Center. The center provides assistance to policymakers and researchers on a wide range of public policy issues via policy-oriented research, consulting, data collection and analysis, program evaluation and management, as well as strategic planning and facilitation. 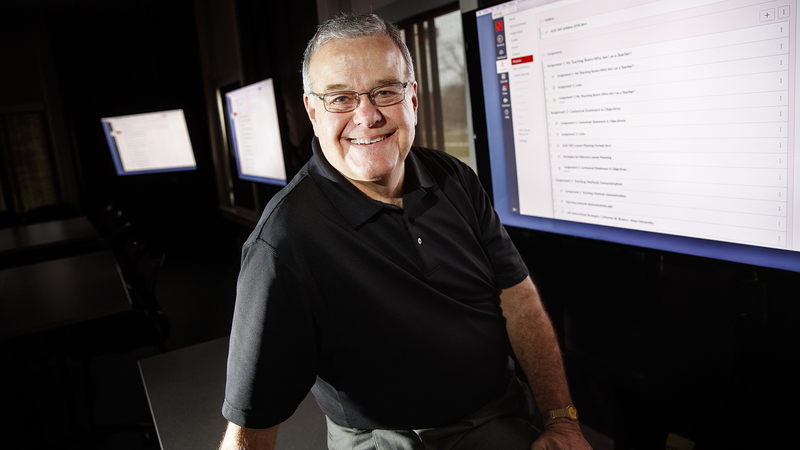 The other winner of a 2019 President’s Excellence Award is William Mahoney, associate professor of interdisciplinary informatics and chair of the graduate program in cybersecurity at the University of Nebraska at Omaha. Mahoney was selected for an OTICA honor. Learn more about the universitywide honors.